Have you been planning a D-I-Y project for a sheltered carport or other structure where you need a versatile, waterproof, rot-proof material? You should really take a look at PTM Heavy Duty Poly Tarps. You have a choice of silver, tan, clear, white, green, orange, red or yellow so you can blend the covering in with the color of your home, garage or temporary structure. Many customers use a heavy-duty poly tarp to cover boats, ATV's and other motorized vehicles during the off-season. 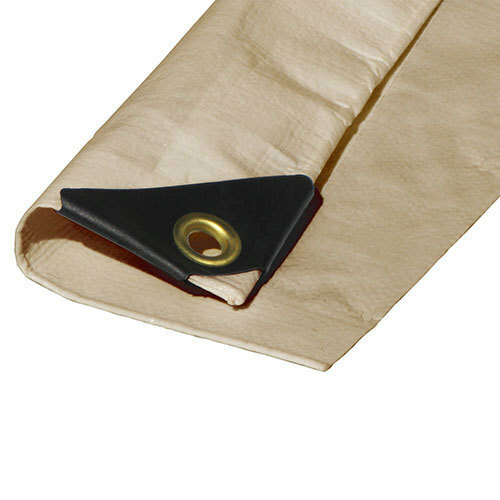 These tarps include grommets spaced approximately every 18 inches on all four sides for maximum efficiency and convenience.